The 9 Best Student Discount Offers in Maine! College is expensive. With a full load of classes, you probably don’t have a whole lot of time to work on the side, meaning you live on ramen noodles and cheap beer. Any discount you can get is awesome. 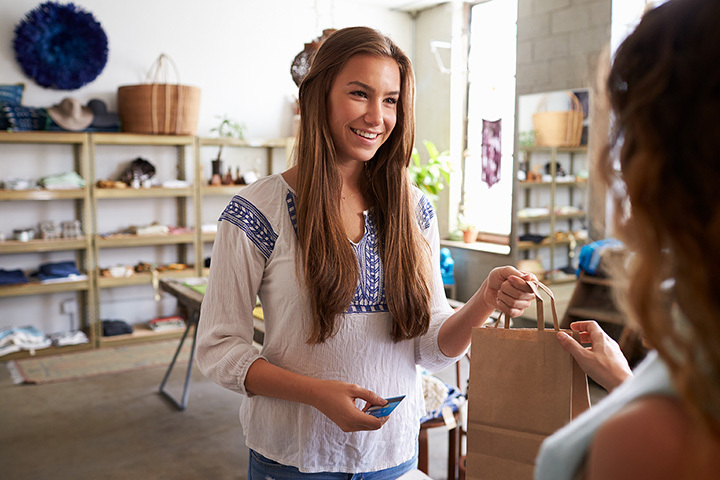 Stores, especially those in college towns, offer college students discounts with a valid student ID. Find out where you can save in Maine! In addition to incredible deals at the outlet stores in Freeport, South Portland, and Kittery, college students can get an extra 15 percent off with a valid student ID. J. Crew is the perfect place to stock up on warm sweaters, cozy flannel, and a budget-friendly suit when it comes time to apply to your first post-college job. Maine is a cold place in the winter months. If you happen to be from the South, then you’ll need a heavy winter coat to keep you warm on those snowy days you have to walk to class. Eastern Mountain Sports in Portland carries all the top brands of outdoor apparel and gear. Find the perfect down jacket and save 15 percent off with your student ID. It is often cheaper to fly out of Boston than either Portland or Bangor. Or perhaps you just want to visit your friends in Boston for the weekend. College students can save $5 off a regular roundtrip ticket from Lewiston-Auburn, Bangor, Augusta, and Portland to either Boston South Station or Logan Airport. Taking the bus is a lot easier than finding parking in Boston! Pat’s Pizza has 15 locations throughout the state of Maine with many in college towns like Augusta, Orono, Portland, Machias, and Presque Isle. Many of the locations offer special college discounts like 15 percent off your order or will deliver to your campus dorm for you. Check your local Pat’s for discounts. Perhaps the ultimate college discount, the college ski passes at Sunday River are some of the best deals in Maine. Choose from the Gold College New England Pass which gives college student unlimited skiing at Sunday River, Loon, and Sugarloaf for just $359 or the Silver College New England Pass with 12 blackout dates for $199. Look for other discounted tickets during college week. Portland Stage Company is Maine’s largest fully professional nonprofit theater based in Portland. Offering a variety of programming and shows over the years, Portland Stage has produced shows like “A Christmas Carol,” “The Hound of the Baskervilles,” and “The Snow Queen.” College students across Maine can get discounted tickets. Check out their website for the variety of tickets offered and prices available. Zipcar is a car sharing program. Many colleges and universities across the country, including Bowdoin College in Brunswick, offer special discounts for college students. For just $15 a month, you can rent a car, including insurance and gas, to run errands, take a weekend vacation, or just pick up your roommate at the airport. University of Maine-Orono students can get 15 percent off their in-store purchases at Epic Sports Outdoor Store in the heart of downtown Bangor. They carry everything you need for hiking, camping, watersports, and running. Buy new ski pants and hit the slopes with your college student ski pass! Or buy a tent and go camping for the weekend in Baxter State Park. University of New England students can visit the new Portland Science Center for a discounted price. The Portland Science Center is the first of its kind in Maine showcasing fascinating rotating exhibitions. It’s a great place to spend an afternoon learning something new.